Guy came to Wootton with a reputation for being a highly entertaining and witty speaker – and during his talk on March 11th he showed just why he has won so many plaudits. During a riotous hour of constant laughter, Guy took us through his varied career which has so far included working in the advertising industry, journalism and, more recently, writing and directing a feature film. Guy developed a comedy act whilst at Oxford, earning his equity card, before going into advertising. In one hilarious section, he told us how he worked on the Whiskas cat-food campaign and recorded many cats meowing and edited them into a sequence which was intended to sound like them saying they preferred Whiskas. The only problem was that cats can’t create the sound “K” and so it was left to Guy to make the noise and this was spliced into the commercial – and from this experience working with animals his career took off. Guy subsequently set up his own business, called Smokehouse, where his team create indentities for brands, but also developed a career in journalism – writing features and a column for The Guardian for many years. He also created the very witty Sidestroke cartoon for the Sunday Times, alongside the terrific Oxfordshire artist, Janet Brown. 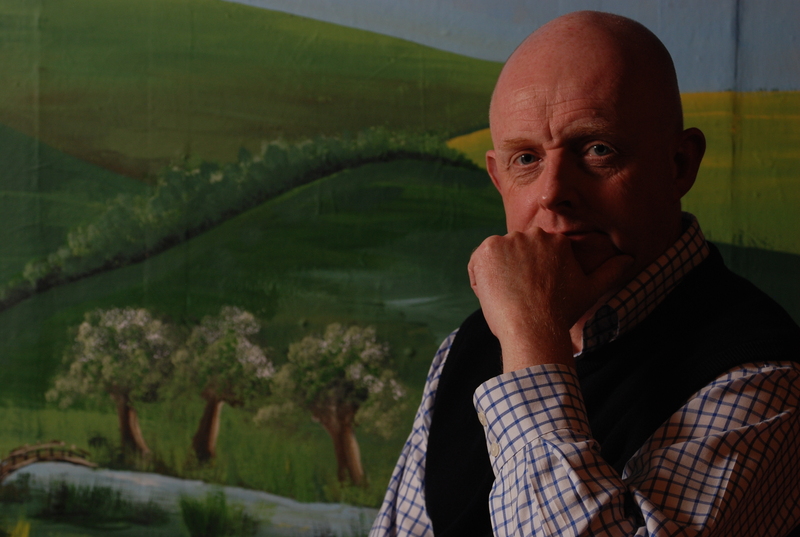 At the same time, as well as writing serious books on business, he also published a series humorous books, translated into many languages, including his latest which features his ideas on what could be listed in the first draft of the British Constitution – from always forming an orderly queue, talking about the weather and generally just being fair. Into that mix during his talk was audience-participation, including one exercise which featured the lengths of prison-sentence each of us would hand out for various crimes – ranging from an armed robbery with nobody harmed to a scorned woman throwing herself off a building and inadvertently killing her lover, although she herself survives. People added up their numbers and sat down when their total was reached, with only a couple of men finally left standing – with Guy saying that the exercise proved little, other than showing the two were probably both psychopaths. In another section, Guy featured a cartoon depicting a woman about to take a ferry to see her lover – when she is side-tracked by another man and they make love behind a bush. The couple are subsequently exposed by a friend who tells the waiting lover about the indiscretion. Guy asked us who we supported in this convoluted web – and the ethics pretty much divided down gender-lines, with most sympathy directed towards the wronged lover, although Guy pointed out, with his impish grin, that this exercise had no correct answer. Guy told us that he sometimes takes on crazy projects and this occurred a few years ago when he pursued his dream of writing and directing a film set in his village of Kingston Bagpuize, south of Oxford, and having its premiere at the Odeon in Leicester Square. 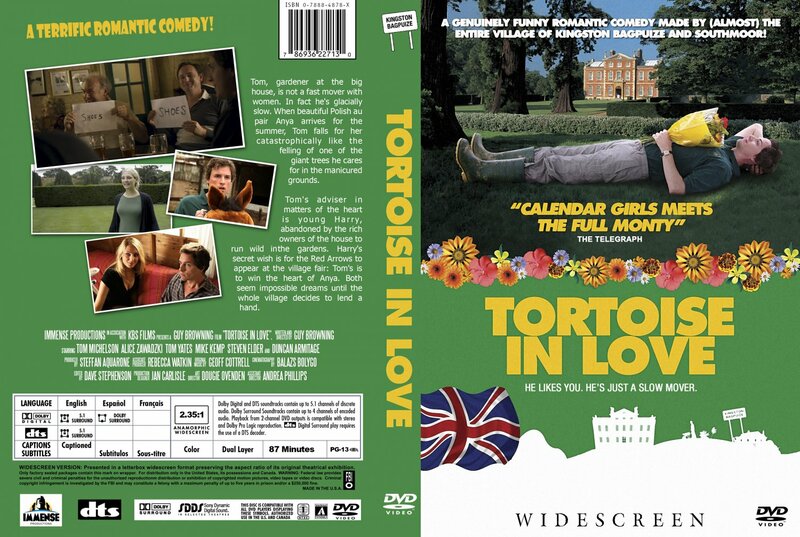 Gradually, the film – a rom-com called Tortoise in Love - slowly got off the ground, with locals funding the shoot and the vast majority taking part – either in front of the camera or behind the scenes, with the WI feeding people three times a day for six weeks. In the event, Guy and a professional cinematographer shot four hours of film and he then had the unenviable task of editing it down to 90 minutes – but miraculous help appeared in the form of a local Bafta-winning film-editor, who was able to shape it into a coherent and charming film. The final cut contained the extraordinary coup of arranging for the Red Arrows to fly over Kingston Bagpuize for the final sequence, in return for only a modest administration fee. But perhaps even more impressive was that Tortoise in Love did, indeed, open at the Odeon Leicester Square – with ten coaches transporting villagers from Kingston Bagpuize and neighbouring Southmoor to fill the cinema, with the chain's owners even offering a special rate for the huge poster advertising the film outside. Over 120 people attended Guy’s brilliant and energising talk in Wootton and 28 copies of his books were sold to a highly appreciative audience.